Super Bowl 53 features two of the top four offenses in the NFL this season in the New England Patriots and the Los Angeles Rams. 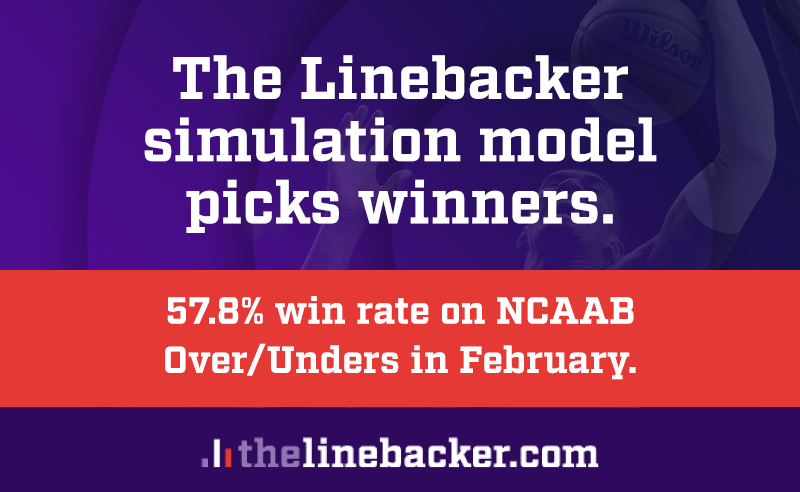 These teams also ranked in the top five in rushing attacks this season, but who has the edge when they meet in Atlanta and which ball carriers will be worth a wager during the big dance? The Los Angeles Rams had the third-ranked rushing offense this season, averaging 139.4 yards per game, and crossed the goal line 23 times, which was second to the New Orleans Saints. For the majority of the season, it was Todd Gurley leading the backfield as he rushed for 1,251 yards with 17 touchdowns in 14 games. The fourth-year back also collected 580 receiving yards with another four TDs. However, he was limited down the stretch with a knee injury and in stepped C.J. Anderson. The 27-year-old was the starting running back in the final two games of the year, rushing for 299 yards with two touchdowns on 43 totes. In the postseason, Anderson has had 39 carries to Gurley’s 20 and the replacement back has picked up 167 rushing yards to the lead back’s 125, and both have two majors. The New England Patriots had the fifth-best run attack this year, averaging 127.3 rushing yards per game, while chipping in 18 TDs, which was tied for fourth-most. Unlike the Rams, who had a more consistent backfield this season, the Pats had to deal with nagging injuries to their primary backs Sony Michel and Rex Burkhead. However, when healthy it was the rookie out of Georgia, Michel, being the bell cow, rushing for 931 yards with six majors in 13 games. Meanwhile, Burkhead failed to reach the end zone for a rushing TD and had 186 total yards, while utility back James White had 425 rushing yards with five TDs, but only once topped 50 yards in a game. Both Burkhead and White were utilized more in the passing game with Burkhead collecting 131 yards and a TD and White secured 87 catches with 751 yards and seven majors. In the postseason, Michel has rushed for five touchdowns and 242 yards on 53 carries, while Burkhead has had 16 carries for 53 yards and three TDs and White had just six carries for 23 yards. Although both teams have fantastic run offenses, they also possess strong run defenses (specifically in the postseason for the Rams), as Los Angeles has restricted Dallas and New Orleans to just 98 yards total on 2.3 yards per carry and New England held KC and the LA Chargers to just 60 yards on 2.7 yards per carry. That being said, in the regular season the Rams allowed a league-worst 5.1 yards per carry, while the Pats had the third-worst average at 4.9. But New England allowed the second-fewest TDs and Los Angeles ranked 19th. Without further ado and with all the information you need for the running back prop bets, here are a few that I like. OVER 49.5 Total Rushing Yards – C.J. Anderson (-105). It appears that Gurley may be dealing with some sort of injury and Anderson appears to be the lead back. I expect him to be relied upon as he is out-snapping Gurley 2:1 in the playoffs and 49.5 yards shouldn’t be hard to come by. OVER 37.5 Total Rushing and Receiving Yards – Rex Burkhead (-115). He has gone OVER that total in three of the last five games and is averaging 47.4 total yards over that span, going UNDER 30 yards just once. UNDER 70.5 Total Rushing Yards – Todd Gurley (-115). I don’t know what Gurley’s health status is but he was limited to just four carries and 10 yards two weeks ago in a tight game vs New Orleans. I’m assuming that there’s more going on than what we know and for that reason, I’m on the UNDER. Who will record the most rushing yarsds in the game? Will the New England Patriots have a rushing TD in the Game? Will the New England Patriots have a Rushing TD in the 1st Half? Will the Los Angeles Rams have a Rushing TD in the Game? Will the Los Angeles Rams have a rushing TD in the 1st half?